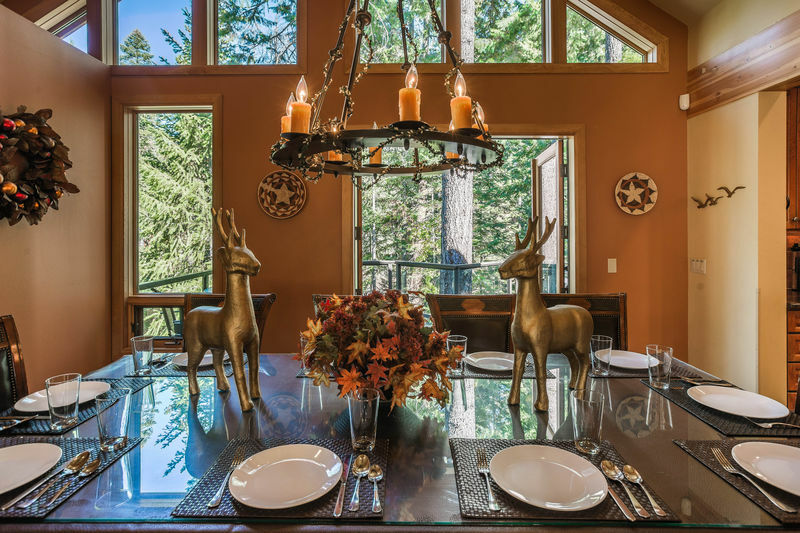 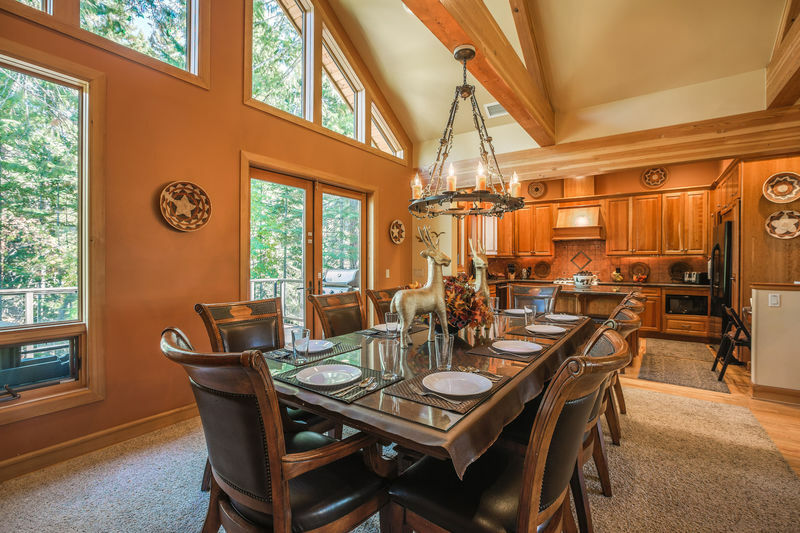 An amazing place for a vacation stay you will simply never forget, Majestic Pines Lodge is an exquisite, 4,000 sq. 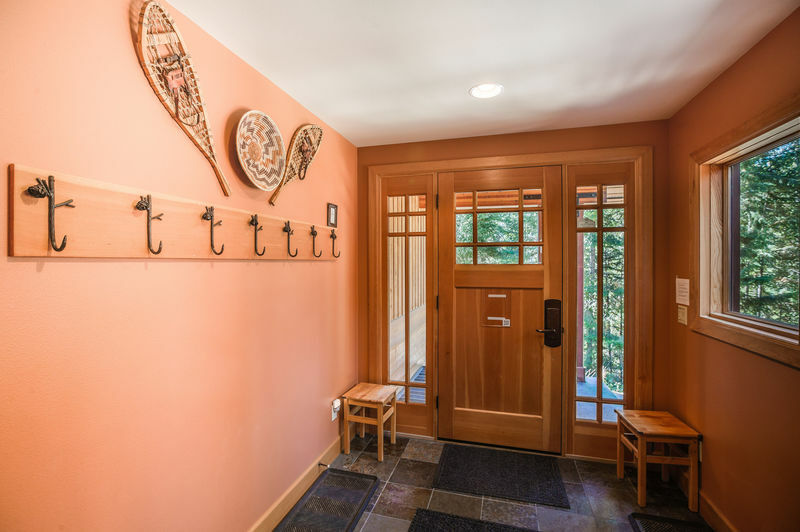 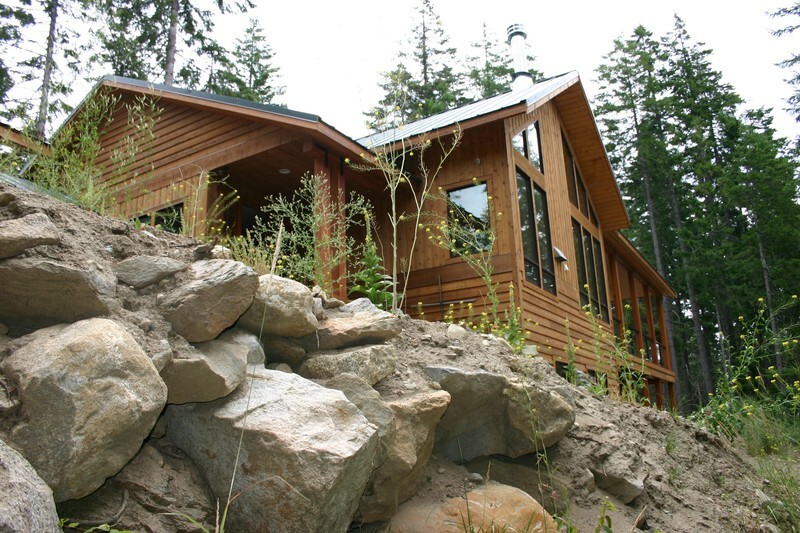 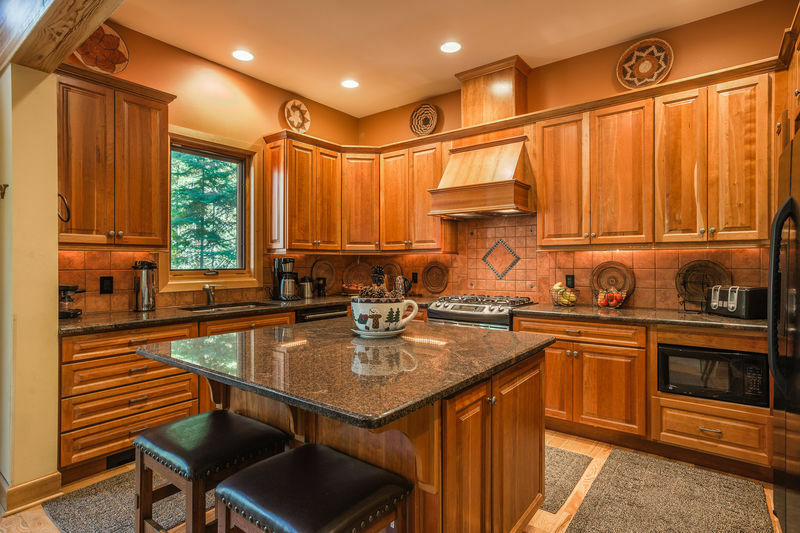 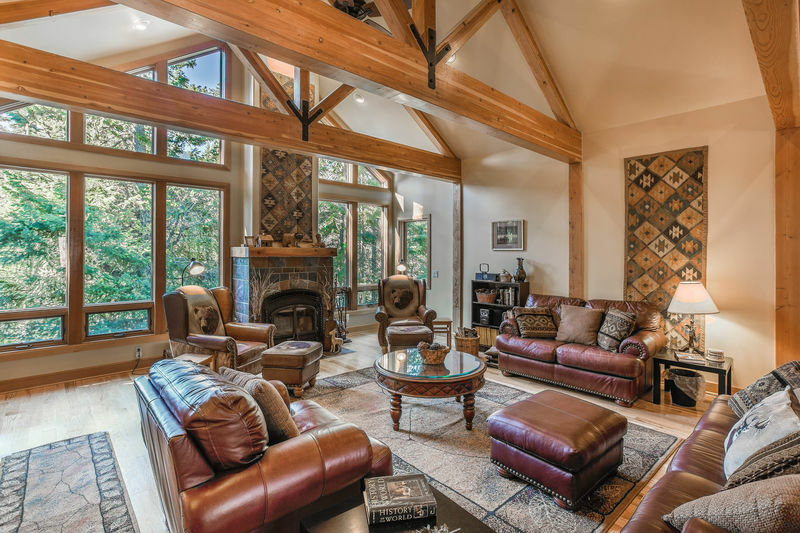 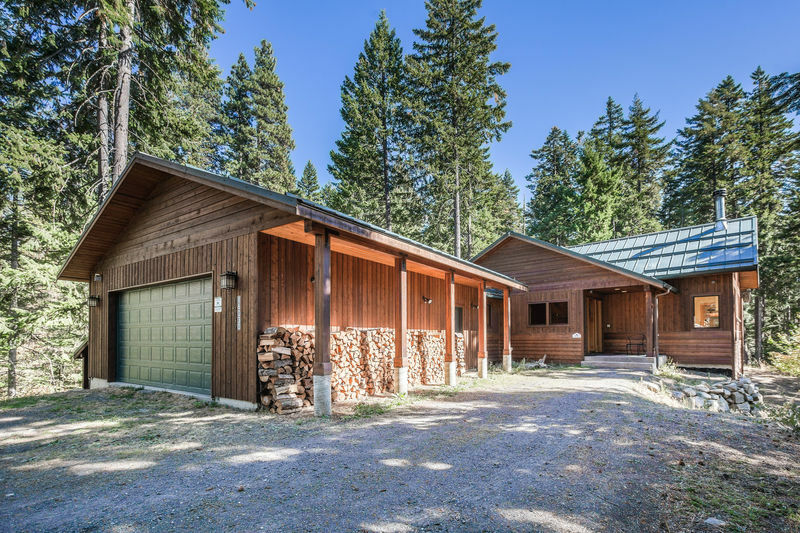 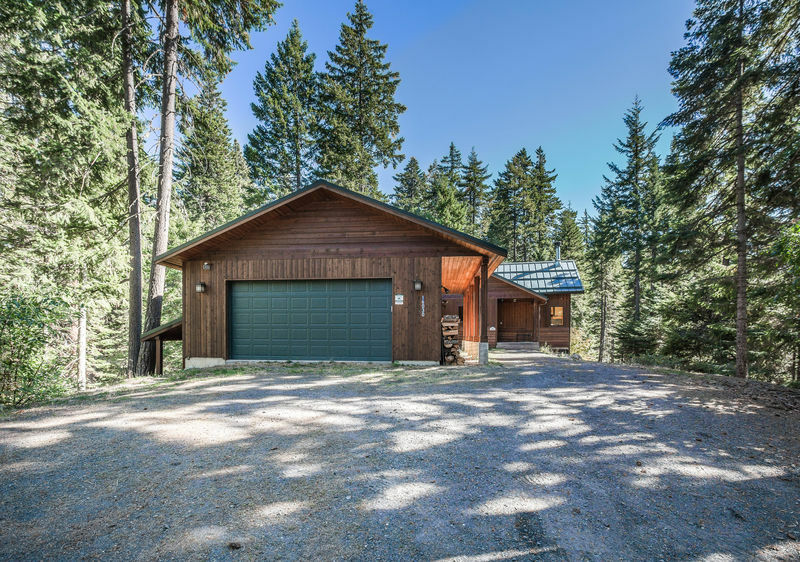 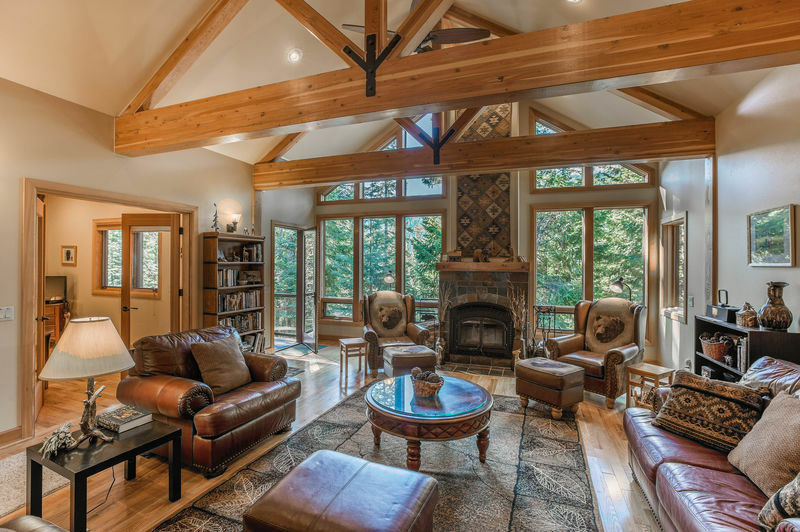 ft custom cedar home nestled among towering, stately evergreens. 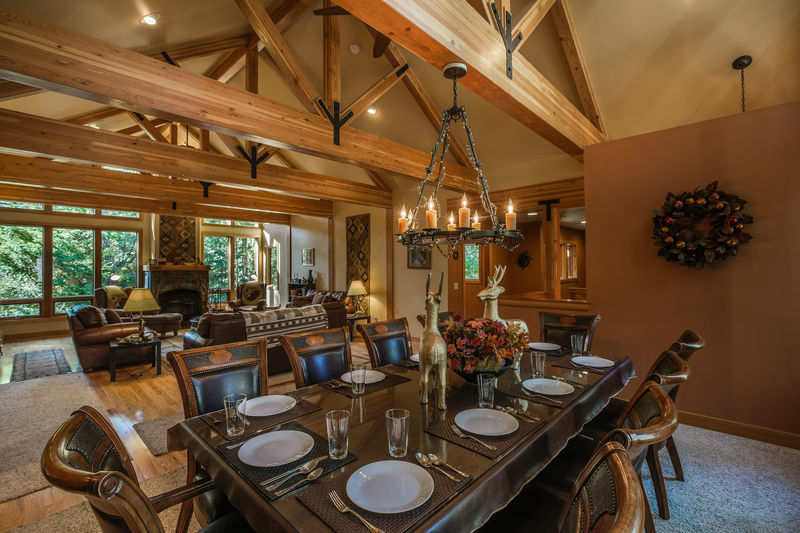 Read what guests have said about their stay at the beautiful Majestic Pines Lodge: "Tranquil, peaceful, with a sense of satisfaction, in a well planned home for living or entertaining..." "We have been amazed by the wildlife, the majesty of the water and mountains..." "Thank you for the gift of retreating to such a peaceful, gorgeous setting..."
The gourmet kitchen is the cook's dream come true, with spacious granite countertops, cherry wood cabinets, leather bar stools, and dining area with beautiful table and ten leather backed chairs. 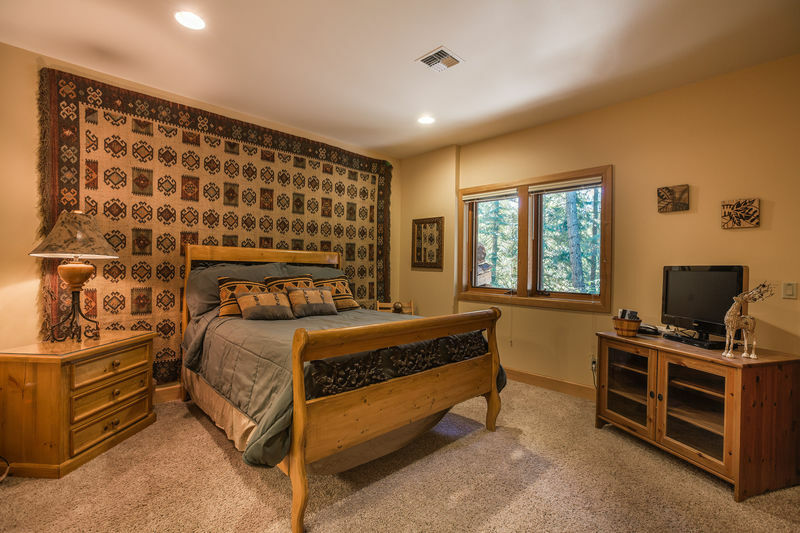 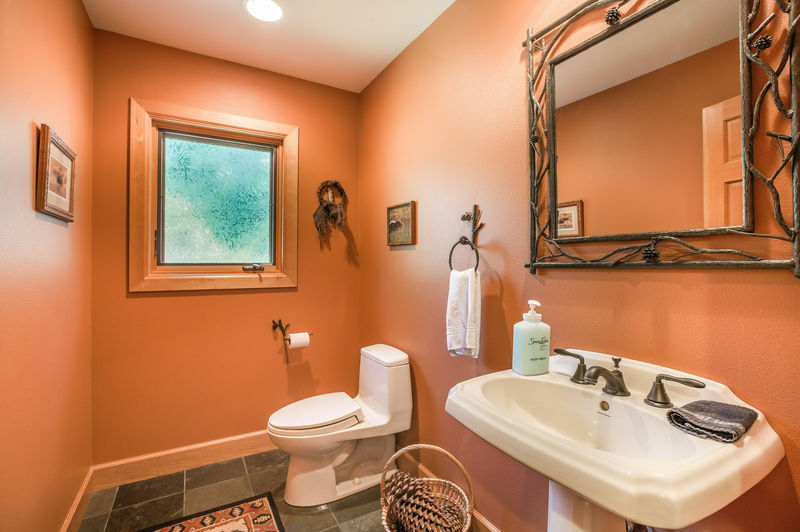 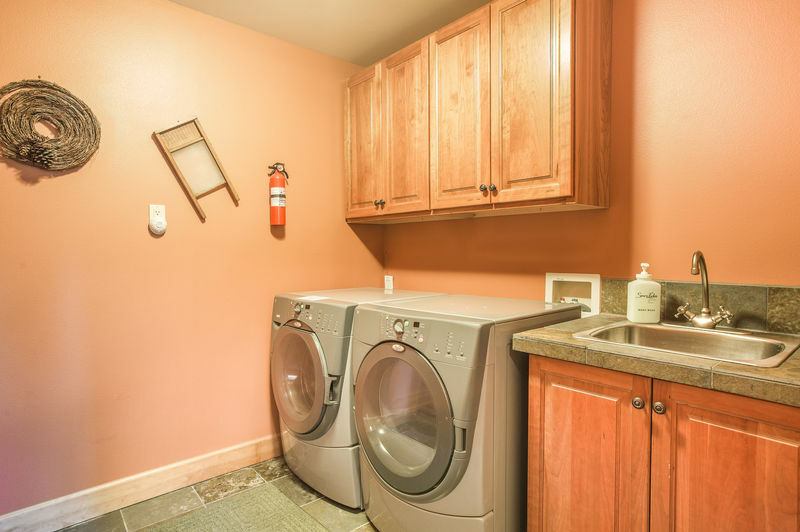 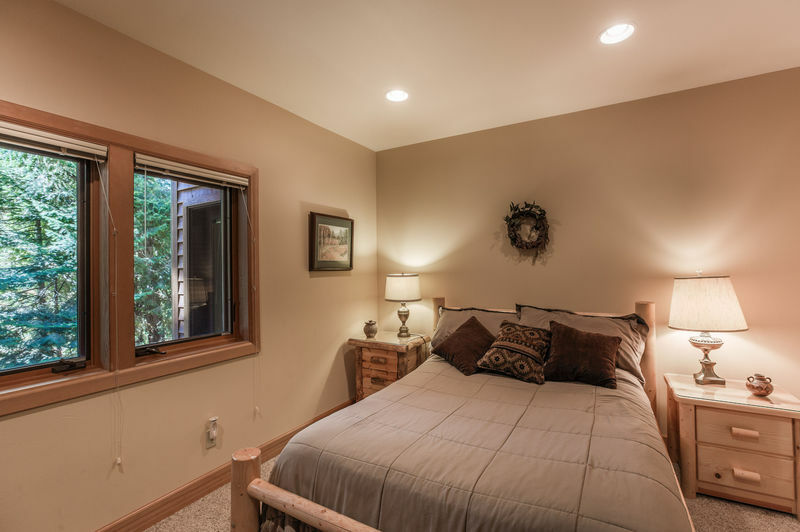 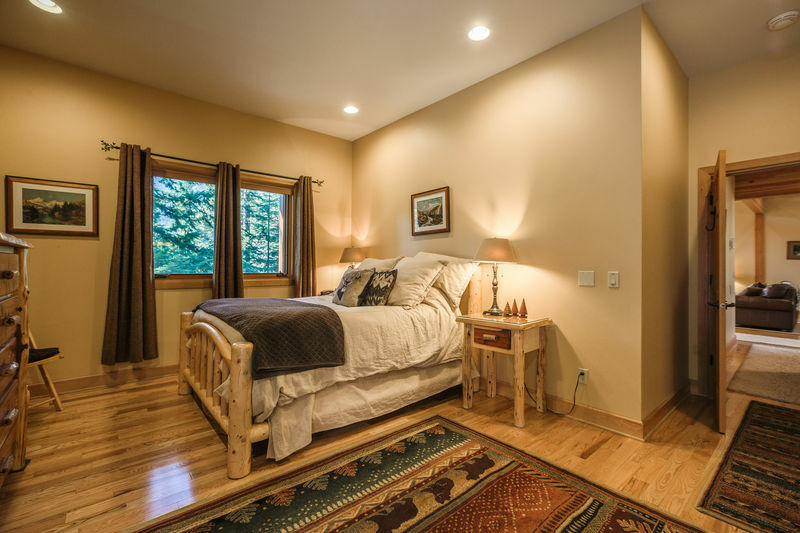 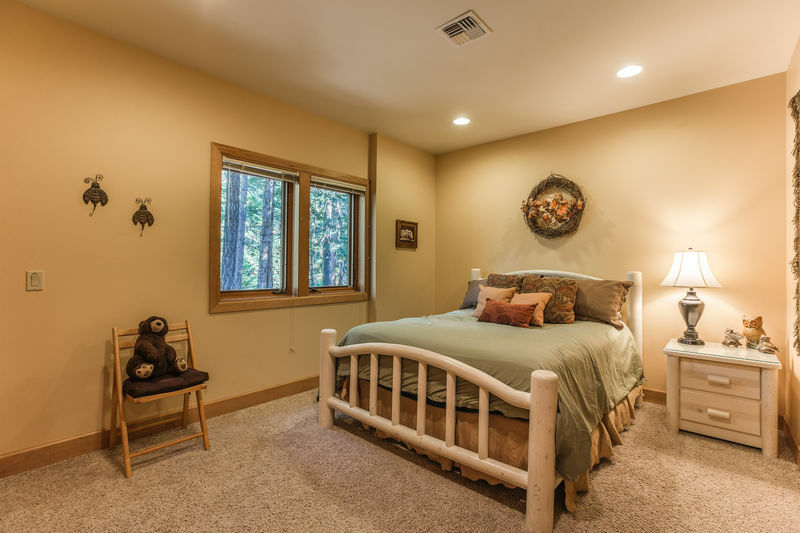 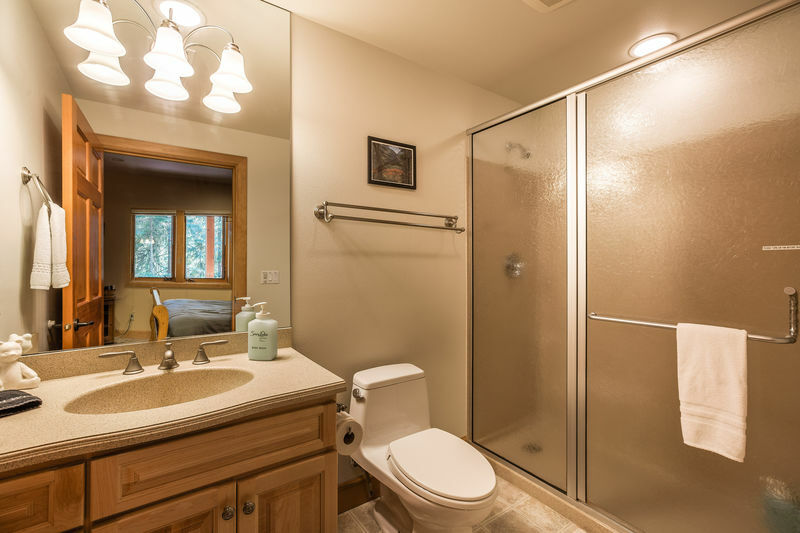 Bedrooms are spacious and beautifully decorated in rustic elegance, with a large and lovely master suite, with huge private bath, on the main floor. 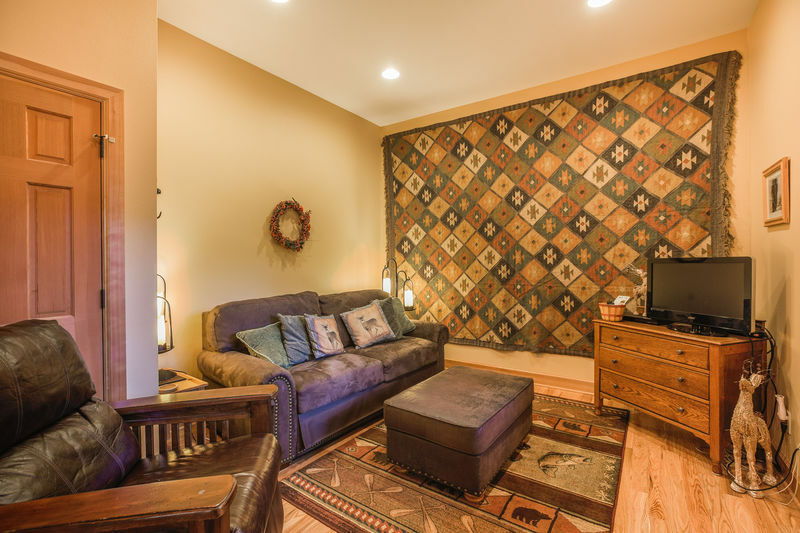 The comfortable 20'x45' family room features widescreen cable TV, games, and gas fireplace... perfect for family relaxation! 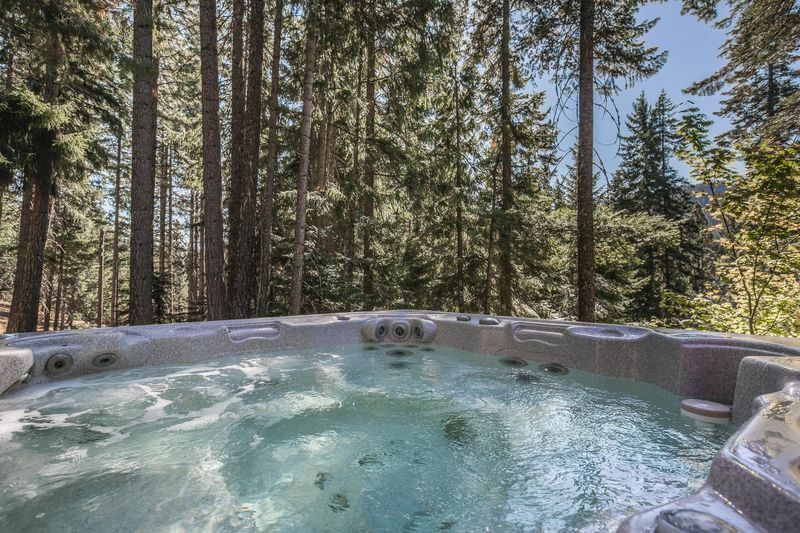 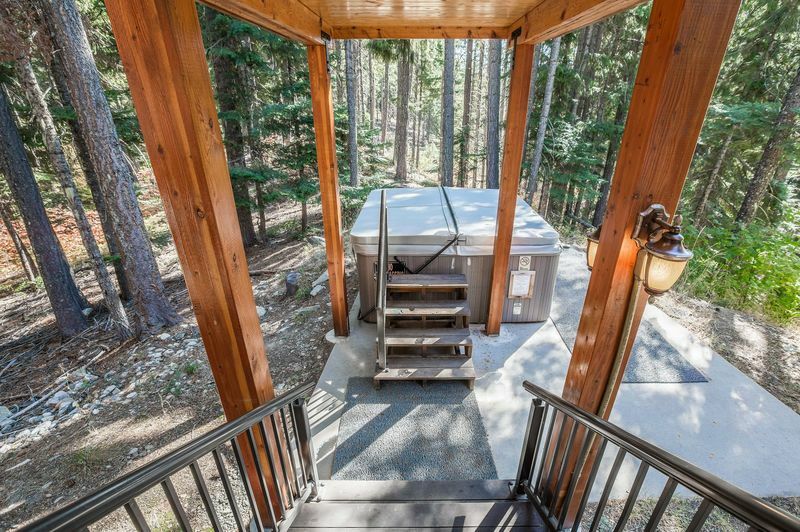 Lots of roomy deck space and a private hot tub provide outdoor living at its best, in such a gorgeous setting!